On your mark, get set…READ! Summer Reading has arrived at Smyrna Public Library and this year’s theme is health and fitness for the body and mind. We’ll have lots of special events to keep your kiddos active and engaged throughout the summer including; vintage games, a self-defense class with UFC Smyrna, puppet shows, and yoga for kids (please note you must register for the yoga class) to name a few. Our full calendar of events can be found here. In order to beat the heat during the hottest part of the day we will have Friday Film Fun where we feature a new movie every Friday. This is a great opportunity to get out of the sun and into the library for an afternoon of fun. See a movie (you can bring snacks, too!) and afterward check out some books to take home. Make the experience more meaningful by checking out books that relate to the movie and talk about the connections with your child. Though it’s great to have FREE activities to bring your kiddos to during the summer, the library’s primary goal of Summer Reading is to get kids to read! Once again, Smyrna Library has collaborated with Cobb County Library System, Cobb County Public Schools, and Marietta City Schools, to present a Summer Reading program that is easy for parents and fun for kids. Like last year, we have partnered with Scholastic and every child that attends public school in Cobb County or Marietta City has been registered and will have received a login from school for the Scholastic “Read for the World Record” website. If your child is in private school, homeschooled, or has not yet begun school, stop by the Smyrna Library to receive your child’s login and password. 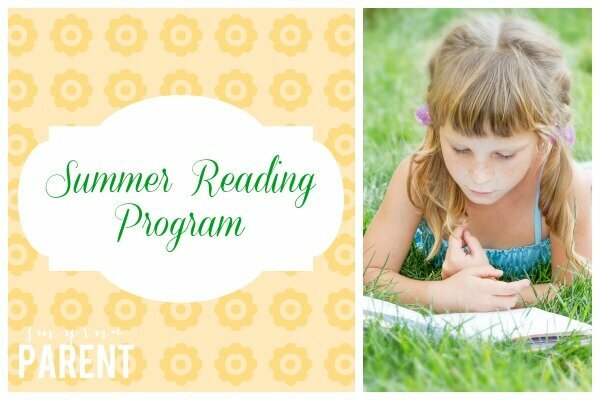 Our priority at Smyrna Library is to reward kids for reading continuously throughout the summer. Therefore, once a child logs one hour of reading each week, he or she can visit the library that week to claim a prize (Hint…it’s a free book. SHHHH!). That means each child is eligible to receive eight free prizes, one each week, over the course of the summer, in addition to the grand prize for completing the Summer Reading Challenge. Why do we reward children weekly? For two reasons: By providing an incentive to read on a regular basis, children stay actively engaged in the Summer Reading Program and read continually rather than stopping once they reach their “goal.” Also, it provides an opportunity to make the library a part of your family’s summer routine. Come to the library for a program, check out books, and earn a prize. We have programs for children, tweens and teens, but don’t forget that adults can participate too! For full details about all of the activities taking place at Smyrna Library this summer visit our website or ask a library staff member. Now, get in the game…READ! Come celebrate summer reading at our Smyrna Summer Olympics! Stop by the Youth Services tent to register for the summer reading program and receive your Olympic stamp card. Visit each of the 9 “Olympic event” stations and receive a stamp after completing the event. Return your stamp card to the Youth Services tent to receive your Olympic medal and take a picture at our selfie station.